On the 5th of January 2017 at exactly 7pm the bottom fell out of my whole world when my great grandmother Sylvia passed away suddenly from multiple organ failure caused by sepsis. Since that date life is split in to two parts before and after! My nana as she was known was the eldest of 5 generations of wonderful women something she was incredibly proud of. 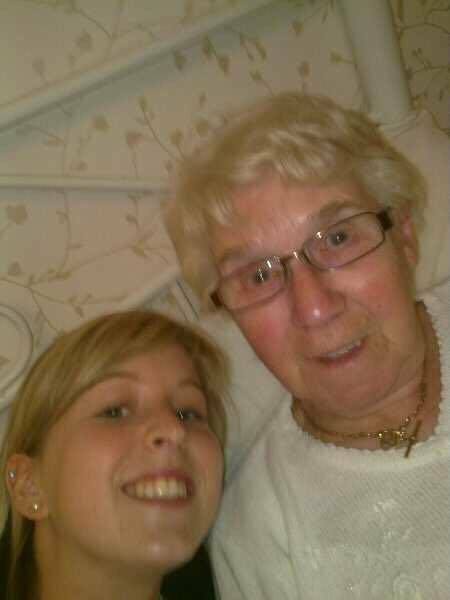 Growing up I spent a lot of time with her, she was my world, living just up the street I’d spend many a day chatting, watching films and raiding her cupboards. Every school holidays we would spend together at her caravan in Skegness at Butlins. It was her home away from home, we enjoyed walks on the beach, trips to the seal sanctuary and shows in the skyline. She would tell me all about the old days when Billy Butlin first opened it’s doors and how she used to come as a child. It was here I learned her favourite flower was Gerberas, these would in the future make up the bouquet on my wedding day. As I hit my teens she sold the caravan, so instead I’d spend every weekend at her house, by the time I got to 16 it was decided I’d move in with her to finish my college education as my parents moved away we would spend most nights in her bed with her shadow and best friend her dog Willow watching her favourite crime dramas. We would talk about the usual teenage stuff. 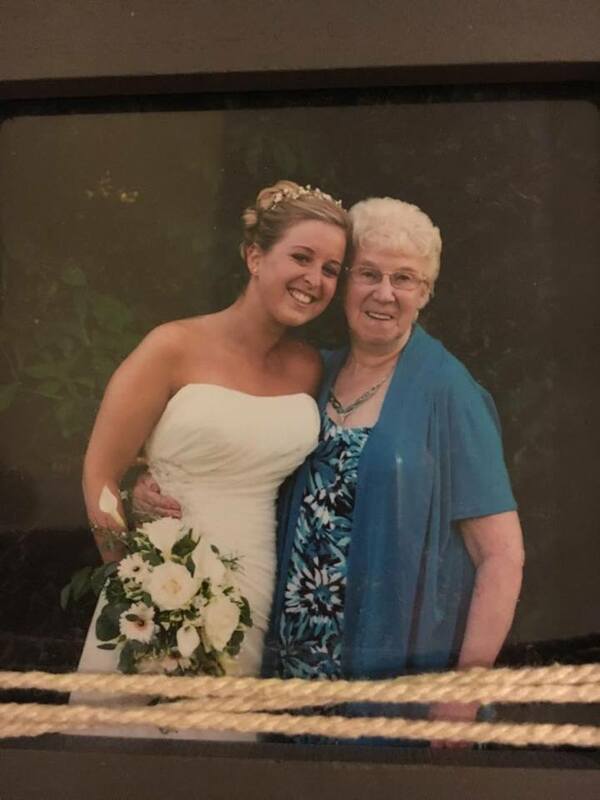 She was my biggest support and always knew exactly what to say her favourite phrase was “it won’t always be like this, life won’t always be this hard” she always knew how to fix things like my light at the end of the tunnel. The day finally came when I’d move 140 miles away for university we spoke everyday, but it still broke my heart to be away from her. 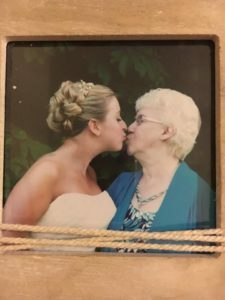 She helped me plan my wedding, was part of the whole process, it was on my wedding day we had some of the most beautiful photos taken together. She was the first person I called when I found out I was pregnant I knew how much it meant to her and I still remember how excited she was when I told her it was a girl, I called her the morning Elsie Sylvia was born she was so overwhelmed. 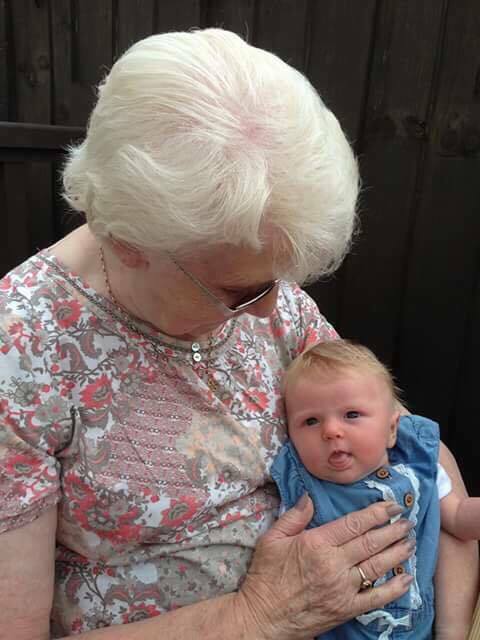 My nana and daughter idolised each other they spoke everyday as she got older and they were attached at the hip when we visited, I feel blessed they had two and a half amazing years together but I long for more. Everyday I do the normal stuff get up and take care of my children, walk through the daily routine and go to work but something is always missing, I long to call her for a chat just to hear her tell me she loves me, despite the number now being disconnected it is still in my phone I’m not at the point where I can delete it, I don’t know if I’ll ever get there. It breaks my heart to hear my daughter ask to call her but it makes me so proud and emotional to hear her proudly say she is Elsie Sylvia. For my nana’s birthday this year we will be heading to Butlins as I feel this may help with grieving for her and I want to be able to show my own children a place so dear to me because of my nana. Although I returned home for her funeral I still haven’t yet been able to go home to visit her grave or her empty home, it is far too painful as it feels too final. Everyday I long for more time more, memories, more photographs! I find myself reminiscing daily and there are things I desperately want to tell her especially about my children who she adored. We weren’t offered any professional support after her death, but as a family we support each other and talk about her daily she was our world and we are finding it comforting to talk about her, look through photos, reminisce and cry.